This article originally appeared on Landscapes.org. 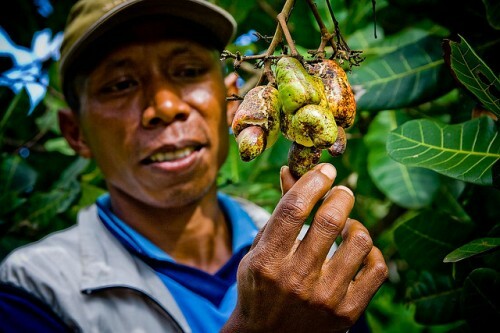 JAKARTA, Indonesia — The world is transitioning to a green economy, but the many synergies between greater sustainability and the forest-focused REDD+ mechanism are underutilized, according to a recent United Nations report. Countries with tropical forests have for years been preparing for a full-scale implementation of REDD+, and can offer a wealth of knowledge and lessons learned for the broad shift toward a green economy, according to the report. “If designed well, REDD+ can thereby contribute to the key elements of a green economy: low-carbon development, social inclusiveness, increased human well-being and respect for natural capital,” says the report, “Building Natural Capital: How REDD+ Can Support a Green Economy,” by the UN Environment Program’s International Resource Panel. The relationship works in both ways — REDD+ is likely to flourish only in a world dedicated to greening the global economy, the report says, as many policies targeted at sustainability could be conducive to REDD+ implementation. Jeff McNeely, chief author of the report, said that to avoid the Intergovernmental Panel on Climate Change’s dire projections of global warming and its effects on the economy, “the transition to sustainability must be accelerated, not postponed”. “REDD+ is one indication of what can be done,” he said. REDD+ gives value not only to forests’ carbon sequestration but to environmental services that millions of people depend on, including water management and forest products that support rural livelihoods and the global economy. The connections between forests and their services are increasingly recognized. “Responsible companies are seeking ways to do more with less, decoupling consumption from economic growth, promoting biologically diverse agroforestry and creating markets for ecosystem services such as water sequestration,” McNeely said. CIFOR senior scientist Grace Wong, who contributed to the report, said that concerns regarding equity – how allocations of costs, risks and benefits are shared and who gets a voice in decision-making and dispute resolution – are issues that REDD+ is grappling with. Lessons from this process could prove beneficial to promoting equity in green-economy efforts. But even in REDD+, equity is context-dependent, the report says, with some projects inherently more or less equitable than others. “In many of REDD+ potential countries, the issue of equity is very low on the agenda and is seen as less of a priority than efficiency or cost-effectiveness,” Wong said. A recent media analysis of public discourses on REDD+ has found that many governments in forest-rich developing countries are more concerned about being treated fairly in international REDD+ negotiations than about equity. Green-economy initiatives and REDD+ are undermined by enormous fossil-fuel subsidies that only encourage more carbon emissions and expedite climate change, according to the report. Fossil fuels are heavily subsidized — at $480 billion a year — and large industrial countries, such as China, Germany, Australia and the United States, remain dependent on them. Realizing REDD+, on the other hand, would require some $30 billion a year. “This is a pittance when compared to the subsidies on carbon-emitting fossil fuels. With enough funding, significant amounts of tropical forest can be conserved in perpetuity,” McNeely said. “Shortage of money cannot be used as an excuse for not supporting REDD+ at the level required,” the report says, adding that REDD+ funding should be considered in terms of investment opportunities for sustainable development, while divesting from unsustainable development. While there are challenges, REDD+ financing is gaining some traction. At the 19th Conference of the Parties in Warsaw, member states adopted a “rulebook” for REDD+ implementation, and pledges from donor countries such as the US, Norway and the UK mean the initiative is now backed by $6.27 billion. “This clear policy signal brings additional momentum to REDD+ and opens new opportunities to attract private-sector investment to conserve the world’s forests,” the report says. The report is the result of six months of discussions and research by a working group established by the International Resource Panel to flesh out how REDD+ and a green economy can integrate. Among its findings is that ecosystem services provided by tropical forests are estimated to be worth an average of $6,120 per hectare per year. “Despite this clear macro-economic case, the total yearly forest loss averages 13 million hectares per year— equivalent to the surface of a football field being destroyed every three seconds,” the report says, adding this rate of loss is a sign of “institutional failure” to consider natural capital in economic and developmental policies. For more information about this topic, please contact Grace Wong at g.wong@cgiar.org.